Survivor: Redemption Island comes to a close with a dramatic two-hour season finale. 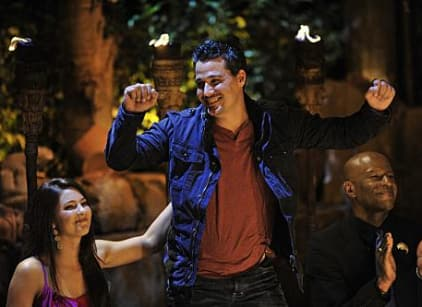 A contestant from Redemption Island rejoins the game and a winner is crowned. We'll recap the episode after it airs.